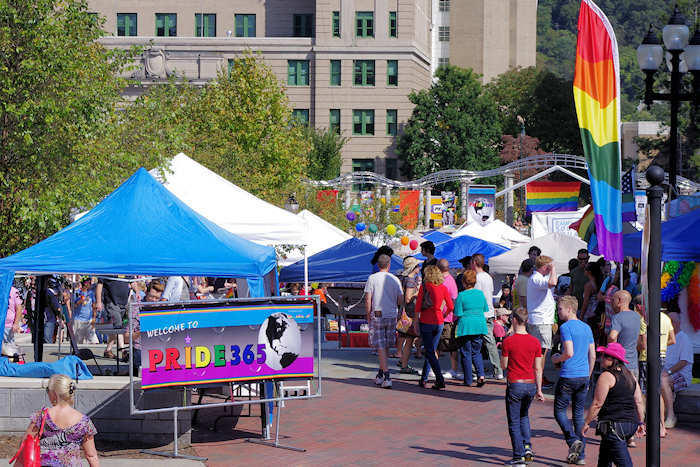 Asheville's Blue Ridge Pride Festival celebrates the gay, lesbian, bisexual and transgender community. 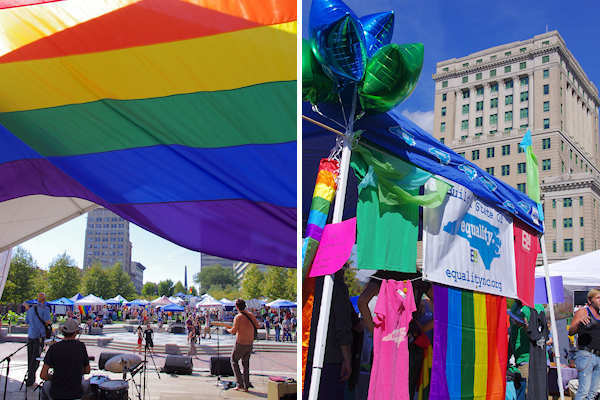 Join the LGBT community in Downtown Asheville in Pack Square Park, 11 AM-7 PM. Two stages will feature regional musicians and many talented entertainers. Check out the 150 vendors and organizations who will do their best to feed, cloth, accessorize, entertain and educate the 10,000+ festival goers. Learn about many great organizations in our community and country dedicated to social justice. Sample delicious goodies from 20 food vendors. The kids' area will have a mobile art lab, bounce house and more. There are special events during all of Pride week. Watch and join the Pride Procession down Patton Avenue through the heart of downtown to Pack Square Park. It starts around 10:30 AM on Grove Street (near intersection Patton). It's not a parade with floats, etc. You can stand and watch along Patton Avenue (chairs not allowed). 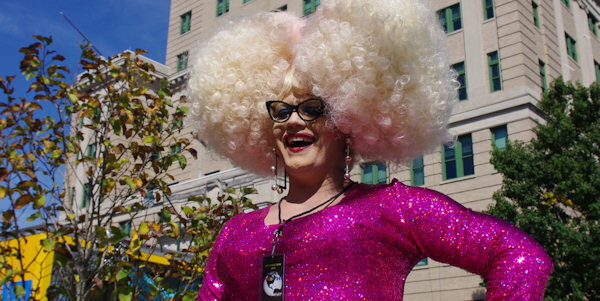 For more info on visiting for the festival or any time of the year, see our Asheville LGBT Travel Guide. Scandals (11 Grove Street in downtown Asheville) After Party with three levels of bars and dancing, guest DJ, drag shows and more. One of the biggest gay bars in the state! Their mission is "Celebrating sexual and gender diversity while Educating our community and allies about the programs and services that are available for our community." The Blue Ridge Pride Festival is directed by a committee that works closely with the Blue Ridge Pride Center, a 501(c)(3) non-profit corporation. Free admission.